The OSS® ASN.1 LTE solutions go beyond support for low-level ASN.1 development. They build upon the robust and reliable OSS ASN.1 Tools for C, offering several APIs that ease the implementation of 3GPP LTE S1, X2, and LPPa protocols. Depending upon your requirements, you can choose to add-on the S1/X2 ASN.1 API, the LPPa ASN.1 API, or both. LTE Rel 10 - 15 S1, X2, LPPa, LCS, SBcAP, M2AP, M3AP, XwAP, and RRC ASN.1 specifications. ASN.1/C Compiler Powerful ASN.1:2015 capable compiler. Industry-proven, reliable ASN.1 runtime libraries capable of unparalleled encoding/decoding speed. ASN.1 Encoding/Decoding Samples Sample code showing how to encode/decode 3GPP LTE S1, X2, LPPa and RRC data using the OSS ASN.1 runtime. ASN.1 IDE that further simplifies LTE development. Includes custom projects and sample messages for 3GPP LTE S1, X2, LPPa, and RRC. S1/X2 ASN.1 API Provides S1/X2 developers with a set of functions addressing S1 and X2 data interpretation and construction tasks. S1/X2 API Samples Sample code showing how to create messages using the S1/X2 API, how to create S1 messages containing LPPa messages using the LPPa API, as well as how to send synchronous/asynchronous messages. LPPa ASN.1 API Provides LPPa developers with a set of functions addressing LPPA data interpretation and construction tasks. LPPa API Samples Sample code showing how to create messages using the LPPa API, how to create S1 messages containing LPPa messages using the S1/X2 API, as well as how to send synchronous/asynchronous messages. Documentation API and Getting Started user manuals. Technical Support 24 hours a day, 7 days a week. The S1/X2 and LPPa ASN.1 APIs are wrappers around the ASN.1 encoder/decoder which automate common tasks associated with protocol messaging. These add-on products which can be used together or independently, reduce your development effort by providing a set of functions that address S1, X2, and LPPa data interpretation and construction tasks, thereby shielding S1/X2 and LPPa developers from low-level ASN.1 data structure manipulation. 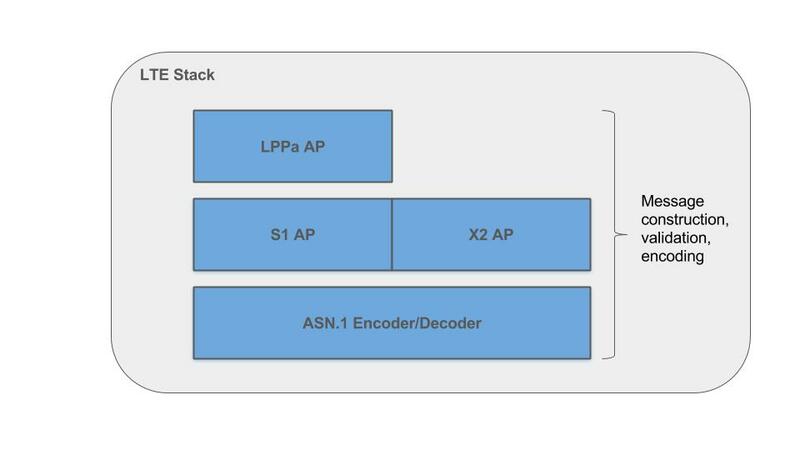 By using our proven OSS ASN.1 encoder/decoders, and continuing OSS' long tradition of developing software highly optimized for embedded systems, the S1/X2 and LPPa ASN.1 APIs make it possible to deploy your LTE solutions on different types of platforms, from resource-constrained devices or high performance servers. All OSS S1/X2 and LPPa components can easily be ported to any platform. The underlying OSS ASN.1/C encoder/decoder library has been ported to more than 500 platforms. OSS' partner Mpirical offers both online and onsite classes on generic mobile and wireless technology. Download the LTE Tools today!